Alberta is running on the last of its H1N1 vaccines and there might not be any more left on the planet. The Alberta government confirmed while they have secured 65,000 doses of the flu vaccine, the supply is expected to run out by Friday, reports CBC News. Alberta Health Services said they've obtained the last doses available worldwide from an Italian manufacturer. 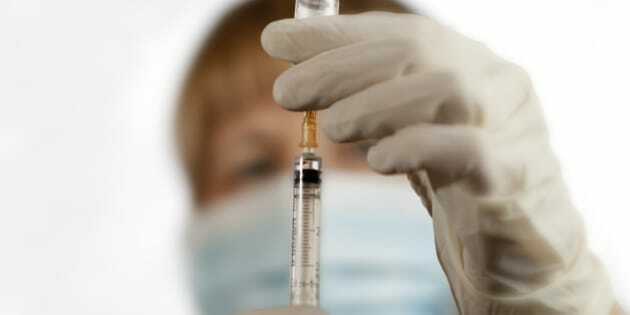 It's unclear whether more – if any – of the vaccine will be produced. The doses are currently being shipped to public health centres and mass immunization clinics but the last of the shipment will not reserve the last of the supply for the most at-risk people in the province, according to the Calgary Herald. The province estimates it has another 80,000 to 100,000 shots left. The province has also decided it will not provided pharmacies and doctors' offices with any more of the vaccine, encouraging them to use up what is left of their existing supply. "We'll use the AHS website to try to direct people to a pharmacy or physician office where vaccine may be available," Health Minister Fred Horne told CBC, adding he doesn't think many pharmacies have much supply left. Approximately one million Albertans — about one in four — have been vaccinated against influenza so far this season, at a cost of $7.8 million to the province, reports Metro Calgary. Earlier this week, Alberta Premier Alison Redford reassured the public that there is enough flu vaccine to meet demand. "There is no reason for anyone to be panicking," she said in Calgary Tuesday. "Everyone who has wanted to get this has been able to get it up until now." To date, the H1N1 flu strain has killed nine people and hospitalized 354 Albertans as of Tuesday, 83 who have received intensive care. According to the Herald, if all doses are used, approximately 28 per cent of Albertans will have received the shot.